NRP Fulvic 'The Quest for cures"
​According to the Joint United Nations Program on HIV/AIDS, the epidemic currently infects over 33.4 million people worldwide. An estimated 14 million people have died since the epidemic began. An extensive number of studies show that Humic extracts, specifically Fulvic acids, effectively and safely kill the HIV/Aids virus. In fact, one pharmaceutical company has patented a humic based drug that purifies blood for transfusions, killing the HIV virus without damaging blood cells. Humic extracts are the most effective natural treatment against viruses of all kinds. Comprehensive studies show that humic extracts are effective against common cold and flu viruses, including respiratory tract viruses, retroviruses, influenza viruses, herpes simplex viruses, just to name a few. 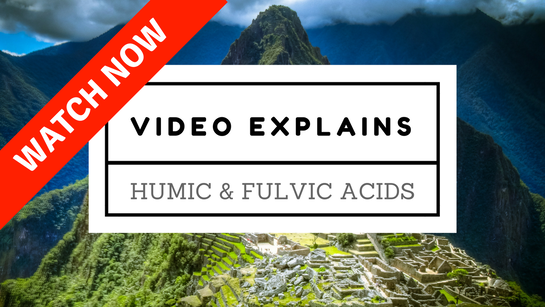 ​Medicinal value of the Humic extract known as Fulvic acid is astounding and very well-documented Many reports on the beneficial use of humic substances, especially fulvic acid, for human health and medicine have been published. These include reports documented in the Chinese Materia Medica pharmacological compendium, dating back to the 15th century Ming Dynasty. During that period, a very famous medical doctor, Li Shi Zhen, used "Wujinsan", meaning "golden medicine", containing humic and fulvic acids as the active ingredient in the treatment of infectious ulcerous growth and female hemorrhage diseases. These studies showed humic and fulvic acids to be efficient anti-inflammatory and blood coagulating agents. HIV Destroyed by NRP Humic Extracts. Treatment of free and cell-attached HIV.